People everywhere are defacing their own MacBooks due to poor design. Troubled by the ever-present, built-in cameras, which point surreptitiously into every corner of life and are too easily hacked without warning, users end up sticking tape and allsorts over otherwise slick machine design. Of course, it’s not just MacBooks. It’s every device which follows us with a peering eye. Laptops, phones, cars, watches, spectacles and much more are fitted with cameras, to the great discomfort of folk who feel the glaring threat. How do you feel when you notice your phone lens angled towards your perch on the toilet? Many feel moved to act and patch up the voyeuristic threat with makeshift bits of paper and other bodges. It’s a quick response to poor design on the part of companies who decide that the risk to our privacy is worth it for quick cam access. It’s time they built out Orwellian design. 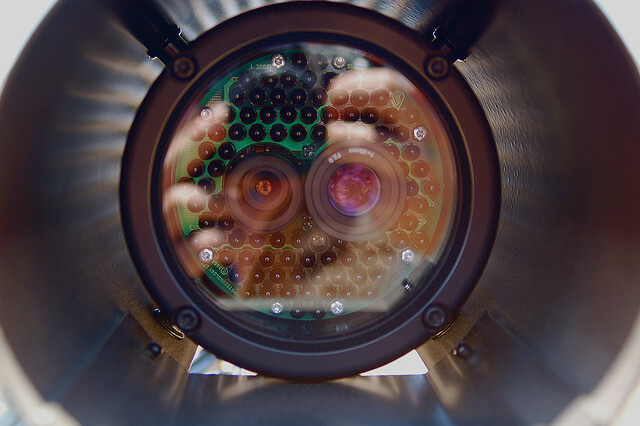 Give us the choice by adding lens covers as is common in other cameras. The alternative is an active rebellion against the products, as catalogued by new Tumblr CoverCam DIY. 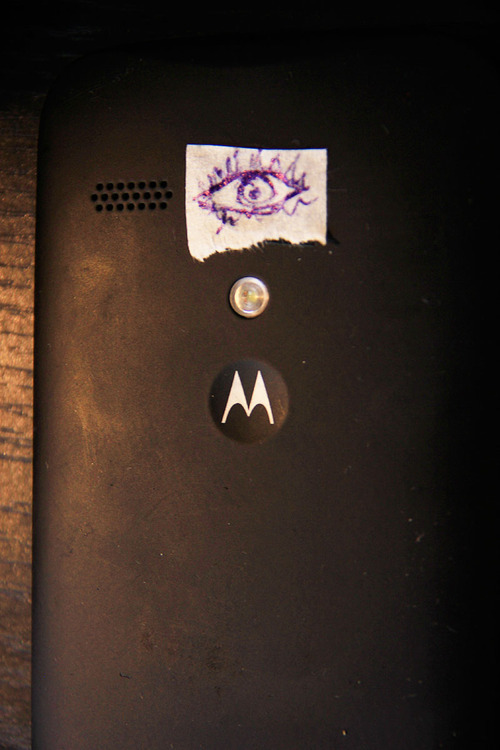 Send me your images of DIY de-surveillance customisations to post at CoverCam. Companies need to know their products are being uglified en masse. This is just one small effort to claw back privacy.